“CBC, chem seven, stat!” This may sound familiar If you watch such popular television dramas such as ER, Chicago Hope, and Emergency Vets. But do you know what the terms mean? Blood tests help doctors determine causes of Illness accurately, safely, and quickly and let us monitor the progress of medical treatments. To help you understand your pet’s test results, this guide explains common tests. A checkmark in any box indicates a significant abnormal finding on your pet’s blood work. If you have questions, ask any staff member. 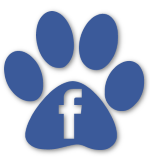 We want you to understand our recommendations and be a partner in your pet’s care. This is the most common blood test performed on pets and people. A CBC gives information on hydration status, anemia, infection, the blood’s clotting ability, and the ability of the immune system to respond. This test is essential for pets with fevers, vomiting, diarrhea, weakness, pale gums, or loss of appetite. If your pet needs surgery, a CBC can detect bleeding disorders or other unseen abnormalities.